Ahlen, December 2016. – Apartimentum in Hamburg is the home of the future. 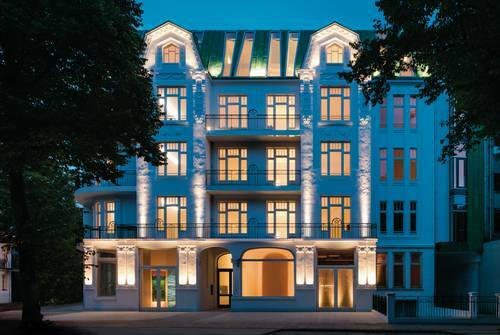 It has been described by its developers as Germany’s most technologically advanced mansion block and will shortly be welcoming its first tenants. They can look forward to luxury flats that combine digitally networked technology for every convenience with the pleasure of living in a listed building. High quality bathtubs made of superior steel enamel and floor-level enamelled shower surfaces from premium manufacturer Kaldewei have already taken up residence. The Apartimentum building in the smart Hamburg district of Rotherbaum was originally constructed in Art Nouveau style in 1908. Following complete refurbishment it is now a premium location for high-end living in an exclusive setting. Tenants will furthermore enjoy the very latest electronic refinements, allowing them to conveniently control their homes from entrance to penthouse level by app, WiFi and Bluetooth: this brave new living world recognises its residents even without a key, responds to their needs as if by magic and, not least, informs them of any incoming post by smartphone. 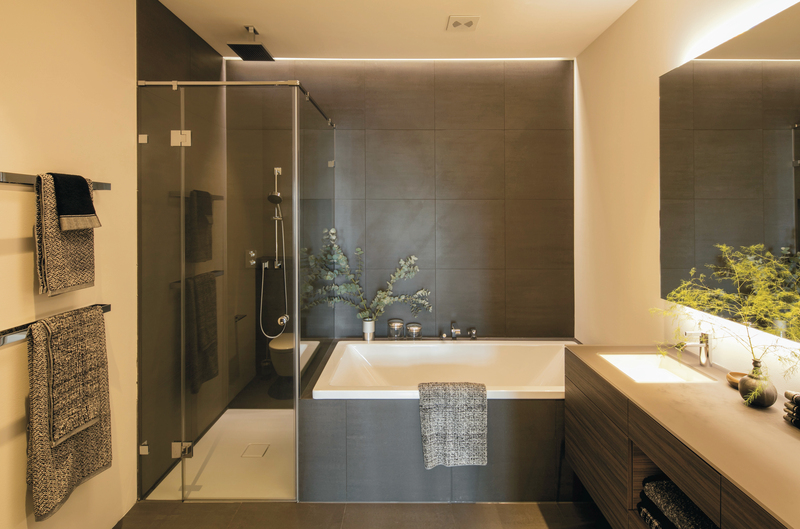 Apart from smart home technology the building’s other fittings are of an equally high quality, as is reflected in the choice of bathrooms designed by Kaldewei. Bathing in an Apartimentum flat will be a unique experience thanks to the installation of Conoduo and Puro Duo bathtub models made of superior Kaldewei steel enamel. The design of these bathtubs focuses on simple beautiful lines while ensuring the highest degree of comfort. As such, these models feature two comfortable backrests and a centrally positioned waste outlet. This high-end bathroom design at Apartimentum is complemented by floor-level enamelled shower surfaces from Kaldewei: the Conoflat model slots perfectly into the bathroom floor guaranteeing ample freedom of movement when showering. 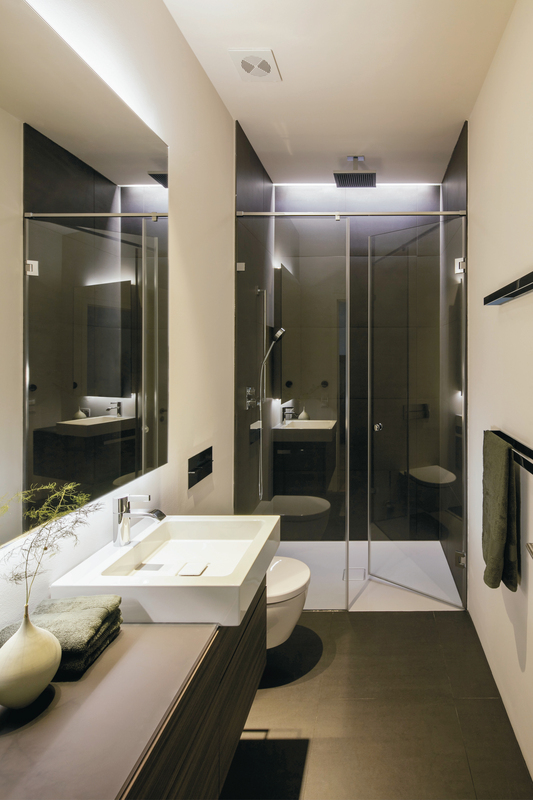 As a premium German bathroom manufacturer Kaldewei is a reliable partner for residential construction projects with superb design and quality standards. Steel enamel is a superior material of excellent quality and robustness thanks to its glass-hard surface. Kaldewei shower surfaces, bathtubs and washbasins can therefore stand up to frequent changes of tenant and will always remain as resistant to damage and as beautiful as the day they were installed even with intensive use. Kaldewei’s quality promise is backed up by a 30-year warranty. This exceptional durability minimises replacement and modernisation costs, giving investors planning security and saving them expense over the long term. 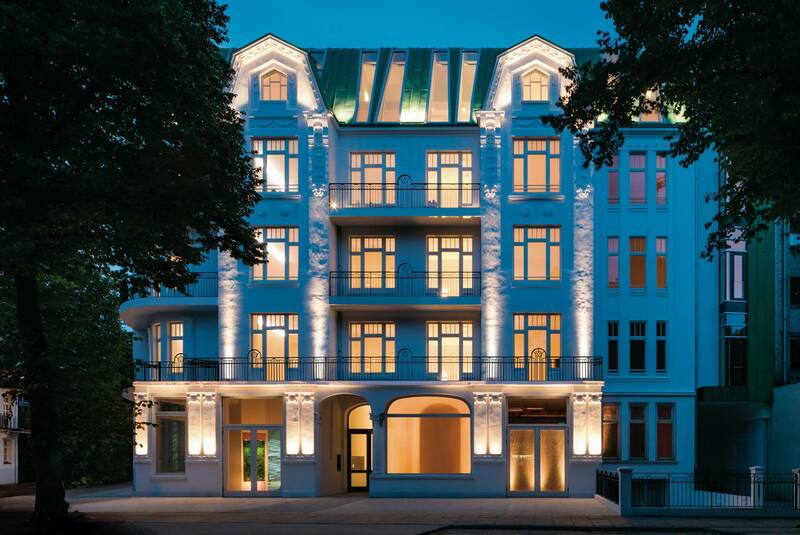 Apartimentum, a luxury residential project in Hamburg is a premium location for high-end living with electronic refinements. It moreover features an exclusive fit-out from entrance to penthouse level. Immerse yourself in Kaldewei’s high-end Conoduo and Puro Duo bathtub models and enjoy a unique bathing experience. The two models combine straight lines with the highest degree of bathing comfort. Two practical backrests and a centrally positioned waste outlet ensure relaxed bathing pleasure. Apartimentum’s high-end bathroom design is complemented by floor-level enamelled shower surfaces from Kaldewei: the Conoflat model fits seamlessly into the bathroom floor guaranteeing ample freedom of movement when showering.